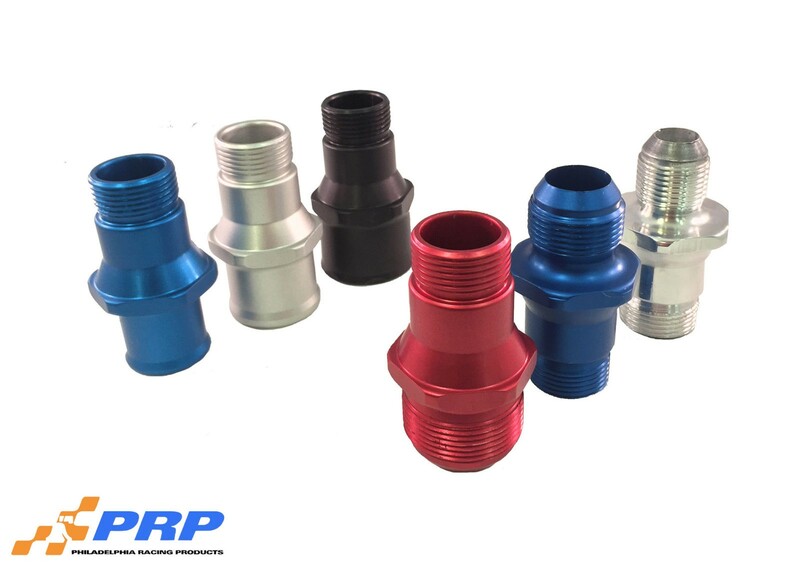 At PRP we offer several configurations of hose adapters. Each adapter will work with any one of our cooling products. All fittings are o-ringed and hexagonal for easy sealing and easy tightening. Fully machined from billet aluminum and anodized for a clean finish. Available in 1 1/4″, 1 1/2″, 1 3/4″, 12AN, 16AN, and 20AN. 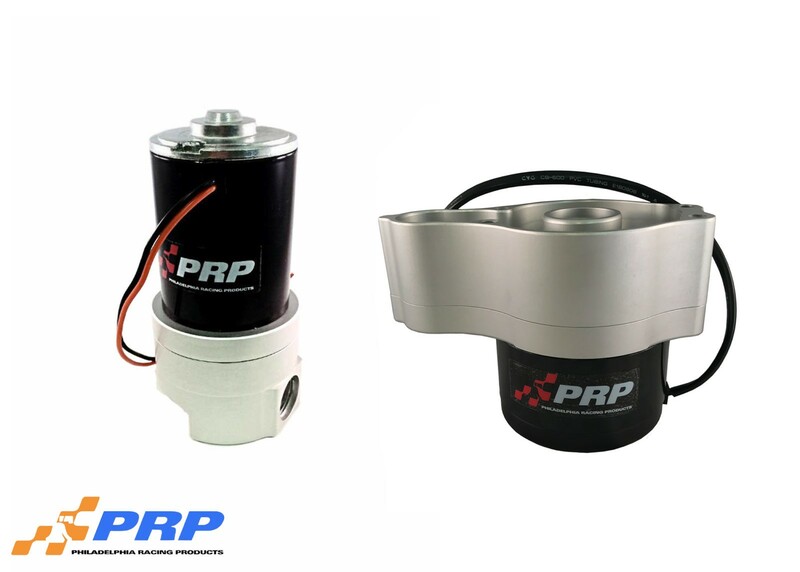 NOTE: Water pump adapter fittings are to be used with PRP water pumps only.